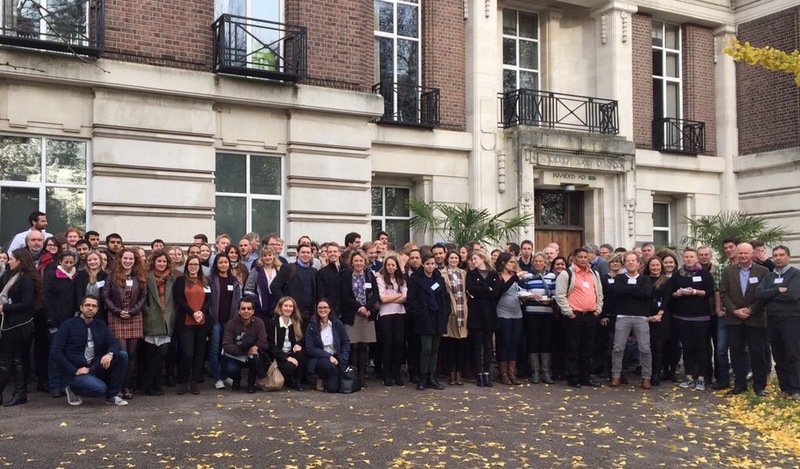 Last Saturday the coral reef scientific community of the UK gathered at the London Zoo for the 18th Reef Conservation UK conference #RCUK18. It was very exciting to get connected again to the reefy crowd after these months of ‘real world’, better known as a 9-to-5 job. There was a lot of geeky coral reef genetics, other papers focused in management, there was a poster introducing a privately funded 50 m deep pool facility that is being built in SW England, and many other topics I won’t bore you with. My mate Kyle presented his paper on island geomorphology. Besides many pretty photos of the Maldives, he showed some interesting and counterintuitive results, suggesting that some sandy islands might actually increase size as sea level rises! Michael showed us his work in fish pellets. A key component of the carbonate budget that is less photogenic than the usual corals, bivalves or gastropods, and yet an important player in the formation of carbonate muds. They are doing some cool stuff in the Bahamas. Another interesting talk was that by Dr. Nadia Santodomingo. Her team at the Natural History Museum (Kenneth Johnson and co.) have been reconstructing the coral fossil record, combining taxonomy and genetics, with impressive results that could change the family tree of some corals as we know it, taking some of the evolutionary divergences back millions of years… And who knows? Perhaps providing evidence for alternative Tertiary tectonic reconstructions. All together, a nice and interesting Saturday afternoon in London Town. And yes Aussies… There’s reef science in cold and rainy London!